I’ve been doing a lot of closet and drawer cleaning lately while preparing for our upcoming move. 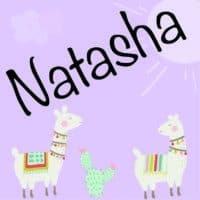 It really got me thinking about clothes hangers and how they’re something that tends to be cheap and unattractive – a ‘necessity’ that we literally hide away in the closet! When you think about it, it feels a little silly to put your favorite and important clothing on some icky piece of wire that you got for free or a flimsy piece of plastic. A couple years ago I bought a handful of wood hangers and spruced up a few of them in this post, but never got around to fancying up more them. 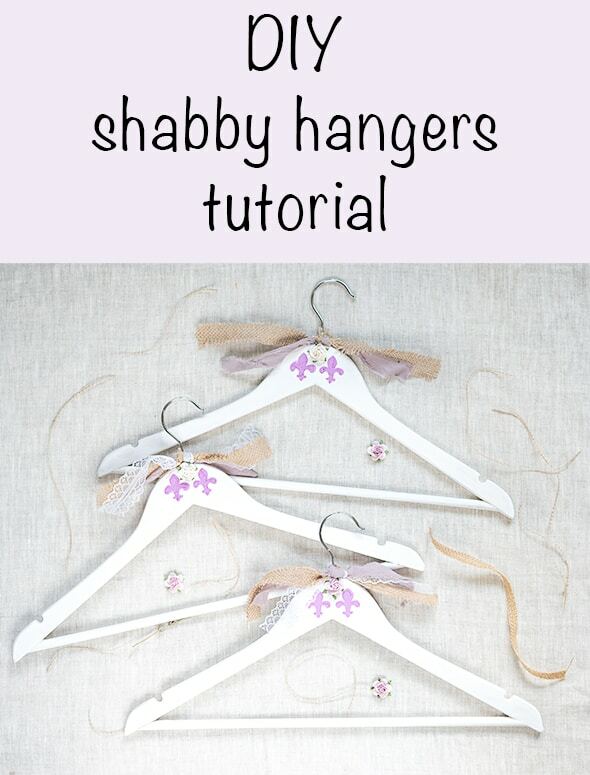 Today I’m sharing another way to beautify your clothes hangers with this DIY shabby embellished clothes hangers tutorial! They’re great for displaying a special piece, for photos, or just for making your closet feel a little more special. It’s amazing how little changes can really improve something. Just seeing these hangers in the closet puts a smile on my face! Because I wanted them to be usable, I didn’t go super heavy with the embellishments, but you can add on as much as you’d like. They’d be cute display pieces on a room divider screen or blanket ladder! Wood clothes hangers. I purchased Whitmor wood hangers on Amazon. Sand paper – optional but very helpful. I used 220 grit. A paper towel or cloth. Paint. I used white chalk paint. Paintbrush – a foam brush is fine. Modeling paste, texture paste, or crackle medium paste. A stencil. I do not recommend a cardboard stencil like what I used, but it will work if it’s what you have! A plastic stencil is preferable. Palette knife & gelato, totally optional. Embellishments. I used scraps of linen, lace, burlap, and paper flowers. Let your imagination go wild! If you’re a crafter and you don’t have silicone finger protectors yet, you need them! These little guys can keep you safe from annoying hot glue burns – they’re a lifesaver! 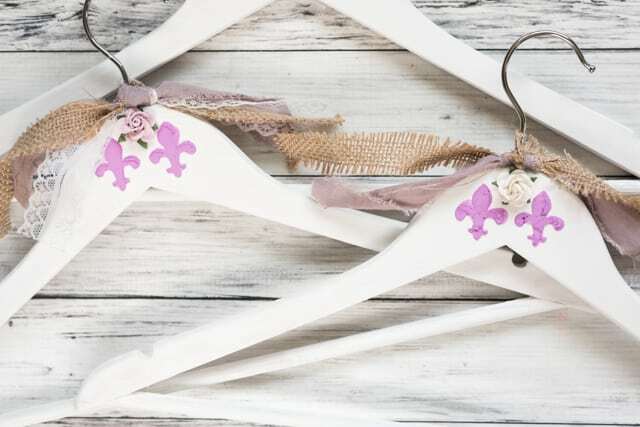 You can go about decorating your hangers two different ways – you can add raised details with your medium and stencil and then paint over the whole thing, or you can add the raised details after painting. This is what I decided to do, and I used a gelato to add color to my modeling paste. The color is obviously optional, but it’s fun. You could also use a texture paste (it isn’t as smooth as the modeling paste) or even a thick crackle medium paste. 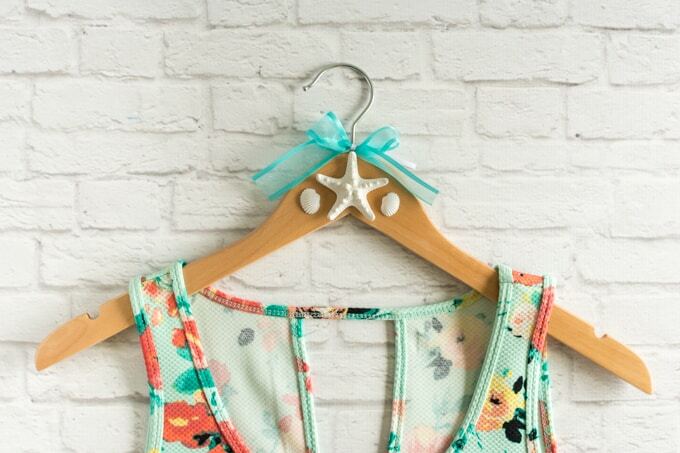 Lightly sand your clothes hangers and then wipe away the dust with a paper towel or cloth. This is technically optional, but it will really help your paint stick better. 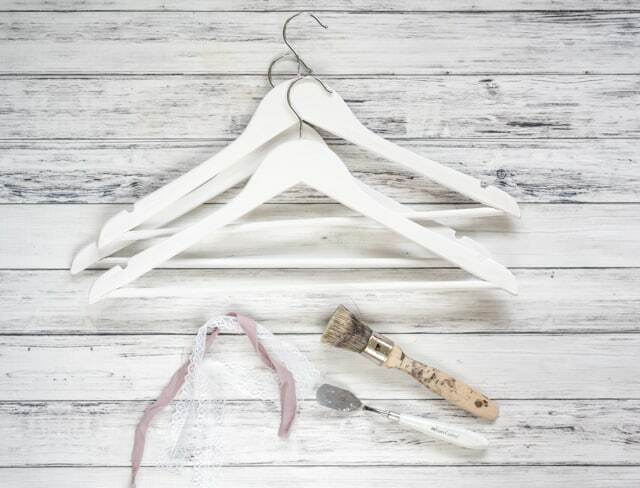 Paint your hangers! Because these are intended to have a shabby appearance, don’t stress about making them perfect. Allow some brush strokes to show and don’t stress if some paint gets on the metal hanger bit! I applied three coats of paint. To avoid having to wash the brush every single time, wrap it tightly in a piece of plastic wrap between coats. Alternatively, go ahead and stencil your design then paint over it after the modeling paste has dried. 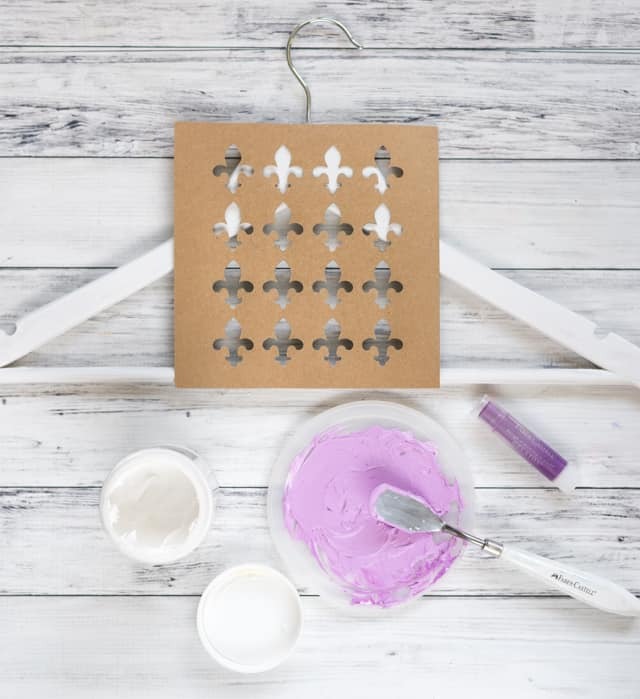 Play around with your stencil and decide where you’d like it to be. If you’re using a gelato for a bit of color, cut off a small slice (1/4″ or less is usually more than plenty) and mash it up on your palette with your palette knife. Wipe your palette knife clean then dish out some of your modeling paste. Mix to combine the paste and gelato. You don’t need to use a gelato to color the medium if you’re applying the stenciled texture first and then painting. You can see a few more photos of this process in my mermaid picture frame tutorial if you’re interested. Hold your stencil firmly in place (you can add some temporary spray adhesive to the back of the stencil to help if you have some on hand) and add your modeling paste. Try not to scrape side to side too much because this tends to make the medium leak under the stencil. Pull the stencil straight up to remove and then wipe it clean, front and back, immediately. I didn’t worry about soothing over the surface of my design perfectly – the raised, imperfect look is perfect for this project! Repeat with your remaining hangers. After the modeling paste is completely dry, you can add more embellishments. I tied bits of linen, lace, and burlap around the metal piece and glued on mulberry paper flowers with high-temp hot glue. I also added a dab of glue to keep the fabrics from sliding up the metal portion. 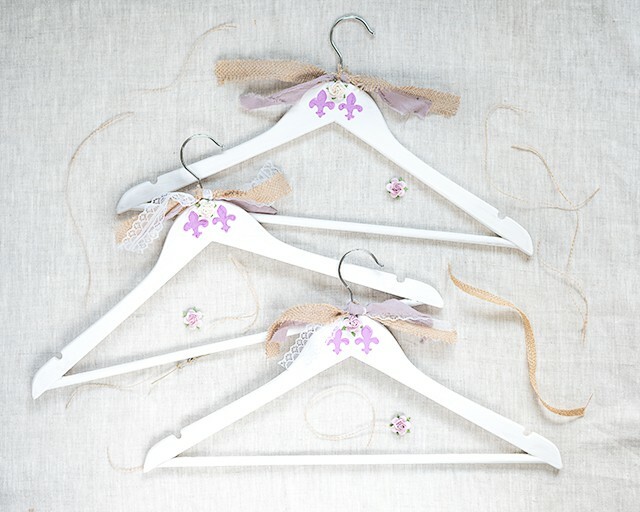 Enjoy your beautiful new shabby embellished clothes hangers! For an even more detailed appearance, you can use crackle paint or multiple layered colors of paint with a bit of sanding to allow the bottom color to shine through. I would have loved to use crackle paint on these hangers, but it doesn’t work well in high humidity. I wish I were making it up, but the humidity was 100% when I made these! There’s no way crackle medium would have worked. 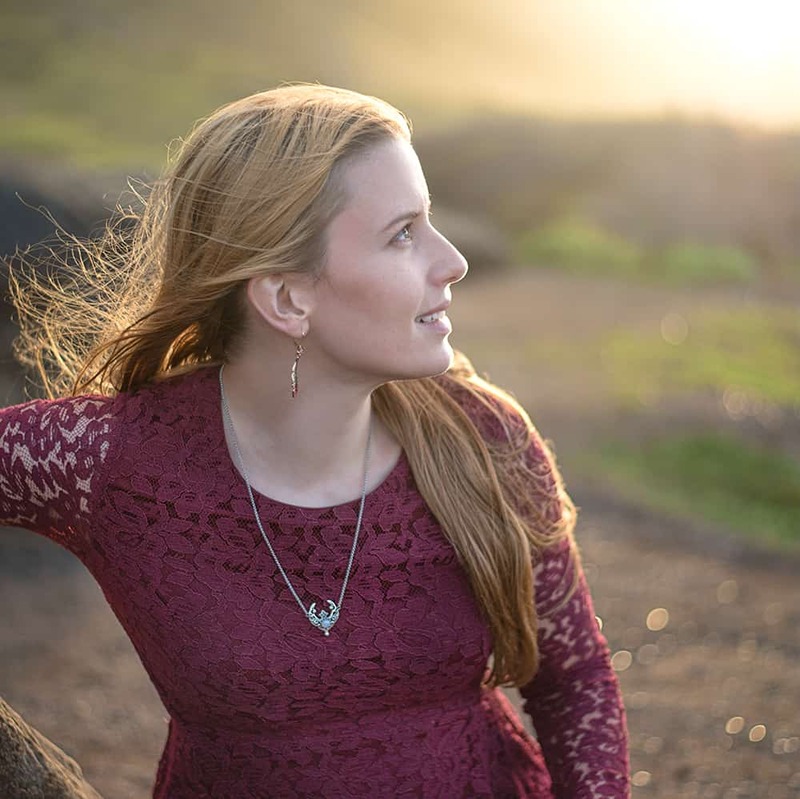 If you enjoy a more beachy aesthetic, stop by this tutorial, too! 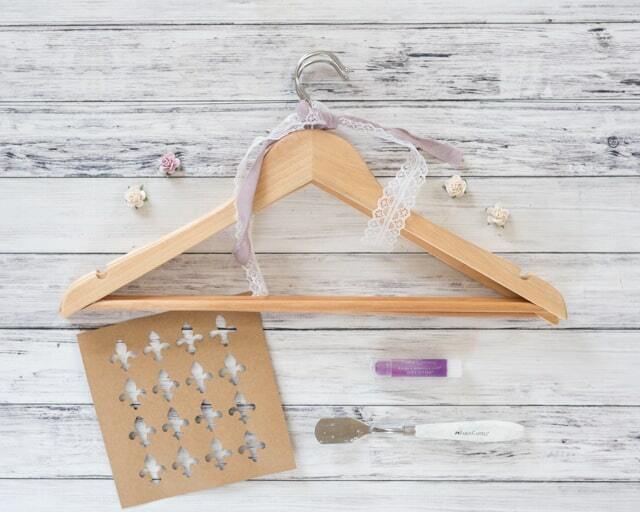 Do you ever use pretty hangers for special garments or to make your closet feel a bit nicer? Adorable! 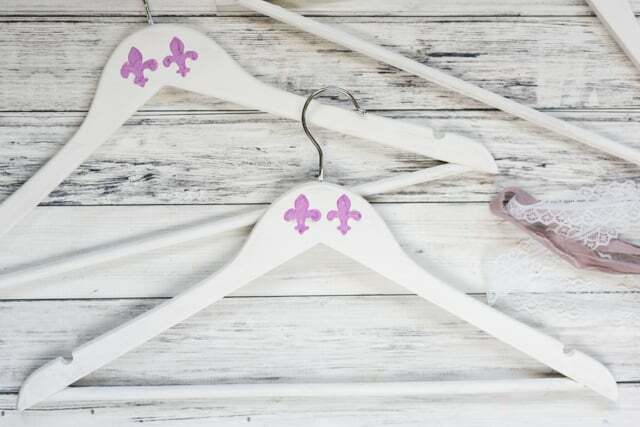 You know I love shabby chic 🙂 The fleur-de-lys is a sweet touch! Yes, I do have hangers similar to these in my closet. I was pleased how well the fleur-de-lys stencil fit the space. I’d been holding on to those purple linen scraps for over a year and was glad I finally found a use for them! That sounds like fun! I thought about wrapping strips of linen around hangers a while ago, I just never found the time.